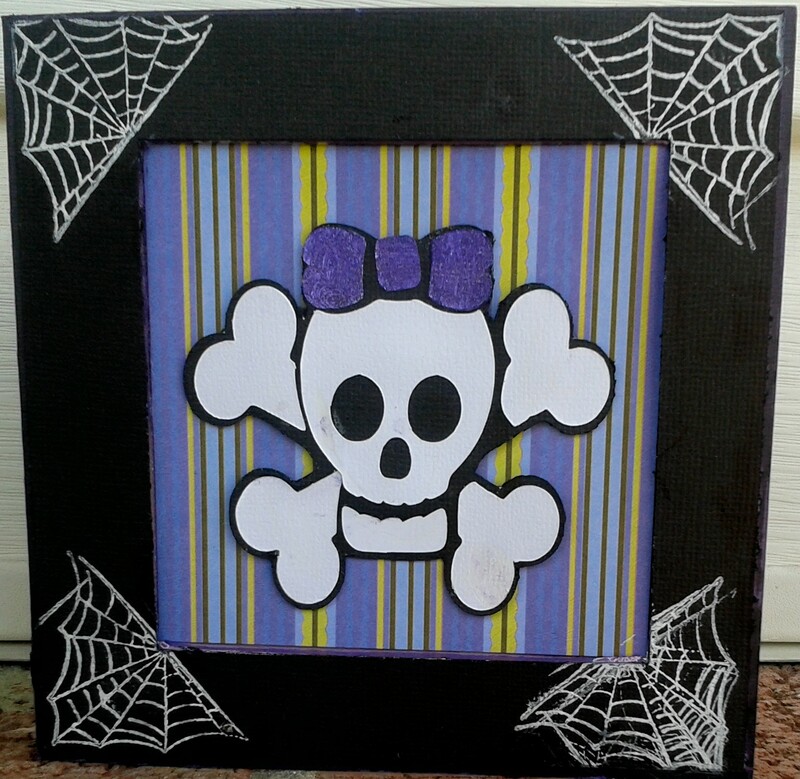 The skull was from a coloring page that I turned into a cut file using MTC Pixel Trace feature. 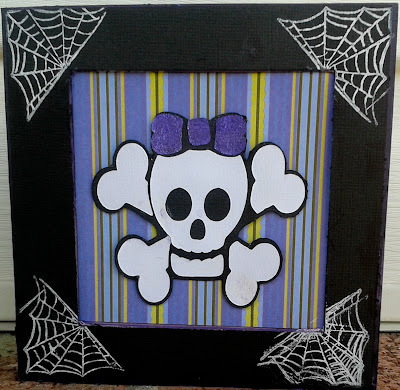 My granddaughter Kayley is just three months old, so a cutesy Halloween card was in order. 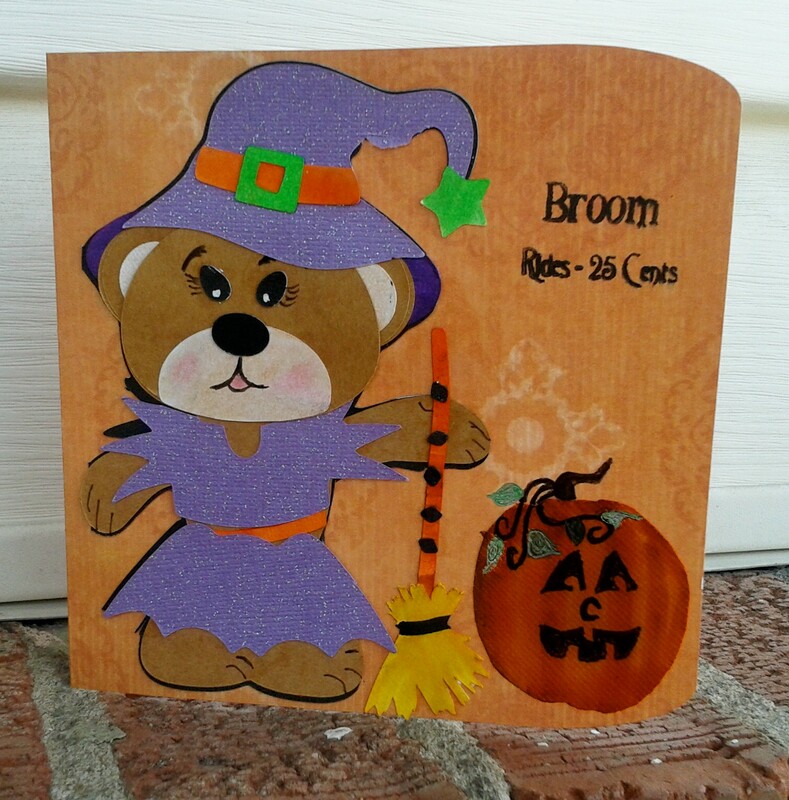 This sweet little bear is from the Halloween Bears set at KaDoodle Bug Designs . I really enjoy their files and the artwork of Kristi W. is incredible. The stamp "Broom Rides 25 Cents" is from the Fright Night Phrases clear stamp set from My Thoughts Exactly . If you haven't been to either of these sites I highly recommend them! The pumpkin is hand cut from a large circle I had laying around and then colored with an orange Copic, I then glued it to the card front and drew on the stem, vines, leaves and face. I think it turned out pretty good for Kayley's first Halloween. I hope you enjoyed my projects for today. As soon as I can finish up these Halloween cards I plan to get some new free files up on the site.